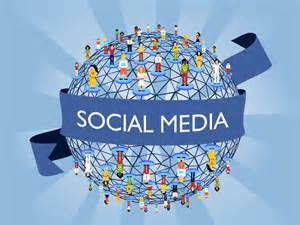 Social Media has become a huge phenomenon over the last few years especially with public relations and marketing. Social media is growing rapidly and continuously changing which affects the way companies market themselves to consumers. About half of Americans use social media on a daily basis. Social media is one of the main ways to promote companies and practices today but it must be used in the right ways. In today’s world, companies and practices need to keep their social media presence up to date. Constantly updating your profile and staying connected with consumers is a good way to remind them that you are still there. By doing this, you are not getting forgotten by all of the other companies using social media. You need to constantly measure the effectiveness of their social media technologies. If you see that their social media campaigns are not working, they need to change their approach to get consumers attention. Using social tools is a great way to reach your audience and using advanced tools is an effective way to measure how it is working. Social media is a great way to receive feedback from consumers on how you are doing. Once receiving the feedback, it is important to make sure that you respond to not only the good but the bad too. This shows consumers and potential consumers that you really care about what they think and connect with them on a personal level. Creating blogs and posting them to your social media accounts is another great way to get your name out there and keep your consumers informed. As you can see social media plays a huge role in the way companies and practices market themselves today. Do not get lost in the shuffle and be just another name, use social media the right way and increase your customer base!